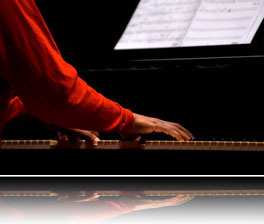 We offer you a unique course and a teaching method conceived by a professional pianist and an experienced teacher. The program is progressive and comprehensive; the explanations clear and concise. All the exercises and scores can be printed. No component is left out: sight-reading, understanding octaves, deciphering, music theory, hand-positioning, using the pedal, technical exercises, technique, interpretation, and dynamics etc. The greatest composers are studied, such as Chopin, Bach, Beethoven, Handel, Schumann, Schubert, Mozart, Clementi, and many others. The method is based on musicality and interpretation and provides each student with a solid technical base to better understand scores as well as more complex pieces. 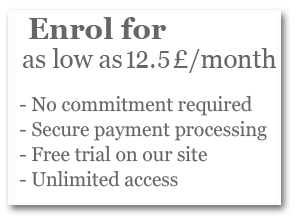 Each course can be reviewed as many times as needed. No live instructor would have this kind of time to dedicate to you; and of course, you can skip certain courses if you wish. We have hired professionals to film, edit and produce our videos so that we can provide you with the best possible quality; the scores and keyboard are filmed simultaneously to facilitate your learning. The clips are provided in two formats, HD and MD, to best suit your needs and your internet speed. 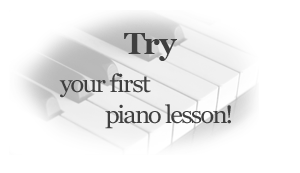 The “Beginner” level was especially created for those starting with no piano experience or for adults who are learning the piano again. 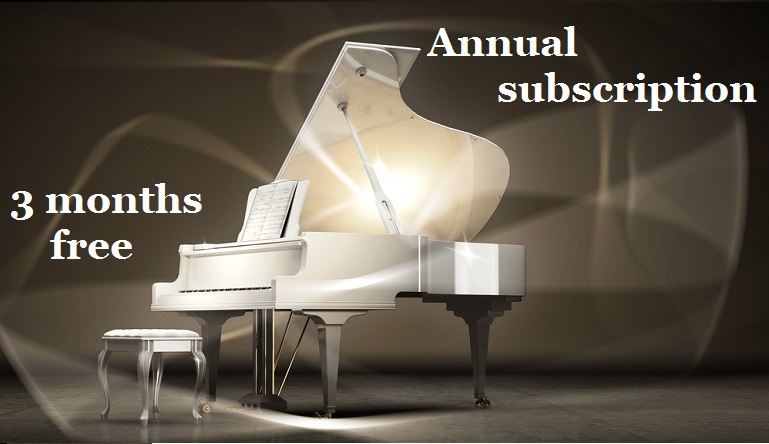 There are more than 700 video sequences in the full course that have been grouped into 124 progressive lessons covering 0 to 3 years of piano. The Frederic Bernachon method breaks down musical language to identify its essential elements and provides you ways to quickly advance using solid, progressive and basic techniques. 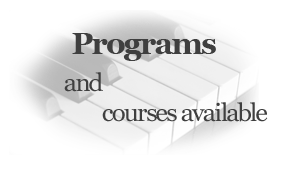 The method will guide you through the components that you will learn to play using increasingly complex piano exercises and music theory, all carefully designed to always be understood by beginners. These are essentially based on repetition and comprehension. It will enable you to learn classical piano in all its subtlety and musicality. Far from limiting the student, the Frederic Bernachon method and its piano courses help adults to express their abilities and to bring them to a higher level than they could have ever imagined. For children (recommended from 11-12), this method will help them discover their full potential. You can see on this page our full course in French (click on the link) : cours de piano en français . You can also visite our Youtube chain and Facebook page to have full information about our method. On this site you will find a lot of information regarding classical piano, piano composers, piano teaching, piano technics as well as articles how to buy and choose acoustic piano, piano turner advises, digital piano for classical piano students etc. For students of the Method Bernachon who seek to improve their sight reading. Interactive solfeggio apps are now included with all our subscriptions. Our Solf'APLY and Solf'MEMO applications are available for you. Intermediate Level: Nocturne de Chopin n ° 20 (Op. Posthumous) fully explained, 18 detailed courses. Explained in 7 lessons and Handel's Sarabande explained in 7 lessons. Discover our " Fur Elise "
For our Eglish speaking beginner students already 63 lessons are available (covers from 0 to 2 years of piano). Have a look on our programme. Mozart and his "Alla Turca"
Festival "C'est pas classique 2016"
Our new student's booklet "To start or re-start piano for adult"